Mit der PPMD Quelle -1000 ist es erstmals möglich, deterministisch und mit hoher Auflösung PMD-Werte erster Ordnung bis 180 ps und zweiter Ordnung bis 8100 ps2 zu erzeugen. PMDProT is a breakthrough PMD source that can deterministically generate precise 1st order PMD up to 180 ps and 2nd order PMD up to 8100 ps2. 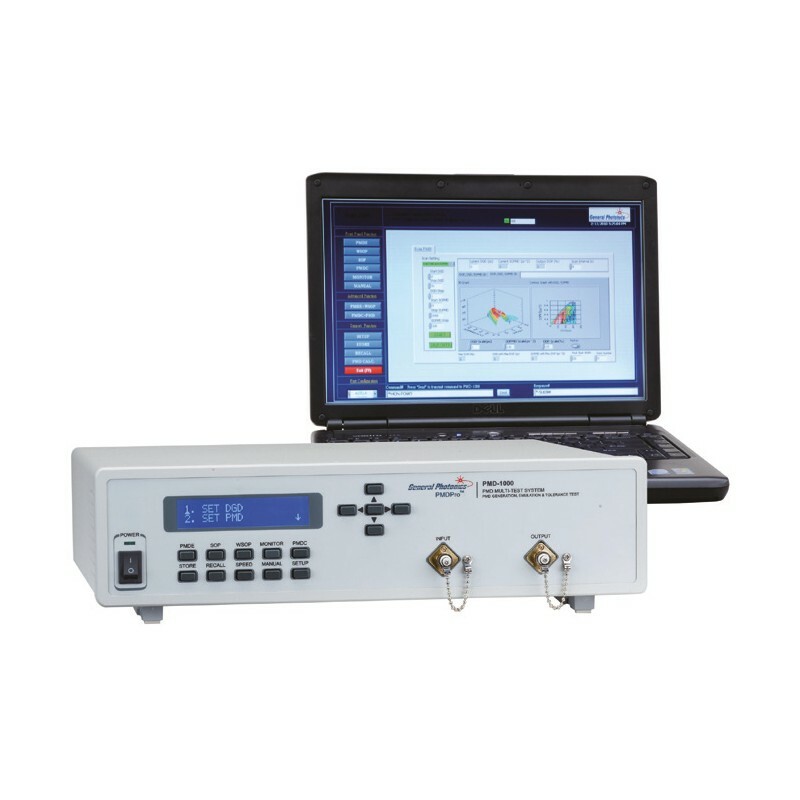 It contains an automatic polarization controller and two polarimeters that monitor the state of polarization (SOP) and degree of polarization (DOP) before and after the PMD generating elements. The polarization controller can be used with the front polarimeter to automatically align and maintain the input SOP at 45° from the principal axis of the DGD element to obtain the worst-case first order PMD effect. Alternatively, the controller can automatically adjust and maintain the input SOP using the feedback from the rear polarimeter to either minimize or maximize the output DOP for each PMD setting. Minimizing the output DOP enables testing of the worst-case total PMD effect, while maximizing the DOP turns the PMDProT into a PMD compensator, allowing the user to estimate the PMD values of an active fiber link and compare its performance with and without PMD compensation. PMDProT can also perform PMD emulation by generating statistical PMD distributions. 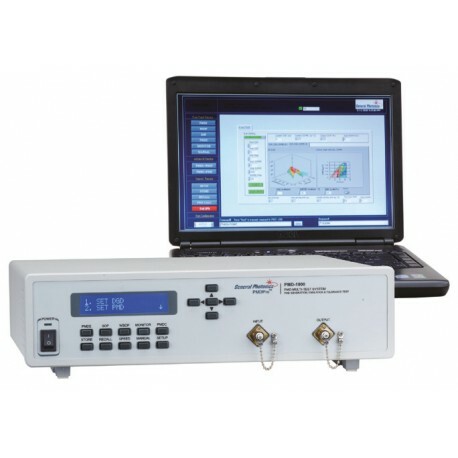 Finally, the polarization controller and polarimeters enable variable rate polarization scrambling and deterministic polarization control functions, including trace generation and polarization stabilization at any SOP. PMDProT makes your PMD related systems testing simple, fast and professional.